ProEnergy is made with only whey isolate from grass pasture fed cows not treated with rBGH, the highest quality natural protein powder with the highest biological value of any protein in existence today. This product is low glycemic, perfect for fat loss, promotes stable blood sugar, and is ideal for diabetics or bariatric patients. 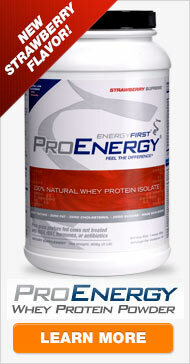 EnergyFirst ProEnergy 100% Whey Isolate Protein Powder is core to the EnergyFirst Program. 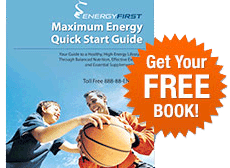 Cold-processed grass-fed rBGH free whey protein isolate, Lecithin (from non-GMO sunflower seeds). Only the good stuff!